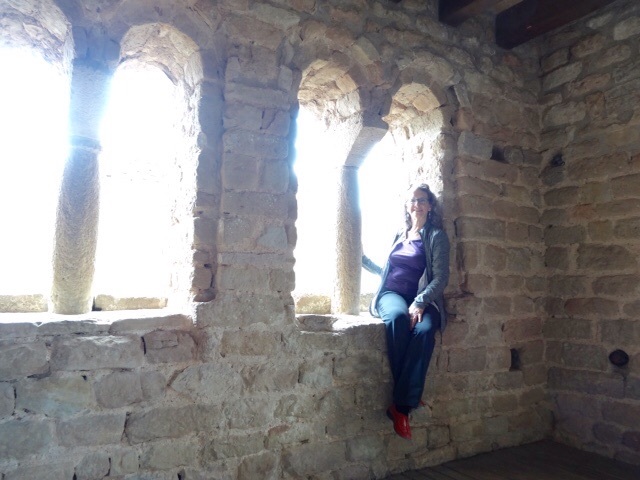 On Tuesday we visited Castillo de Loarre, a beautifully preserved Romanesque church and fortress that was started in 1071, over 900 years ago! A film called Kingdom to Heaven was filmed there, I think in 2005. This is our first view of the castle. These are the ornate windows in the Queen’s tower. 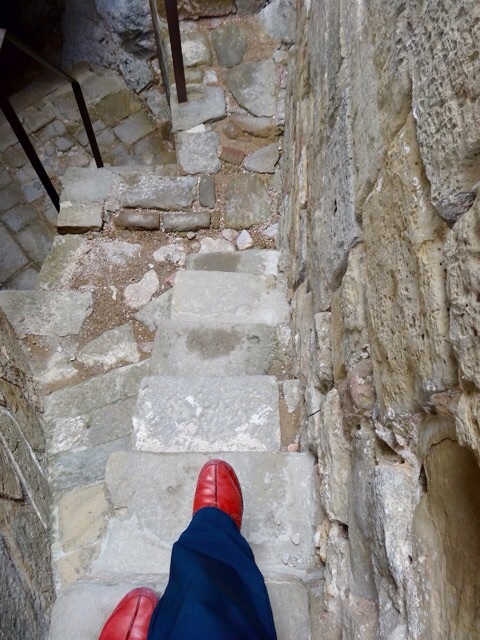 We had to watch our footing in this Medieval castle. 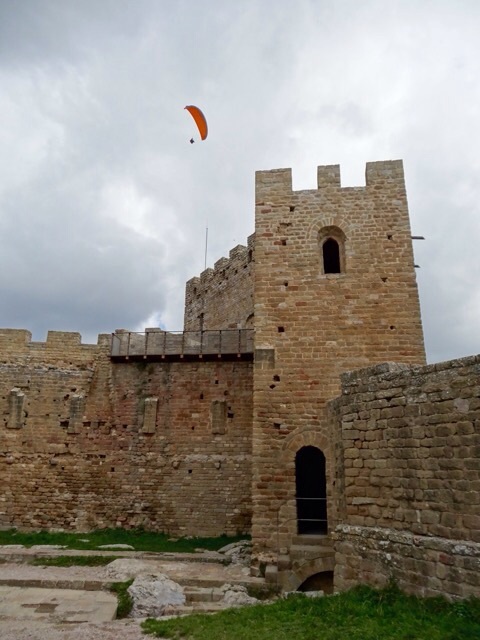 We were surprised by this para glider overhead, then we saw many more of them as there was a jumping off spot on the mountain just behind castle. 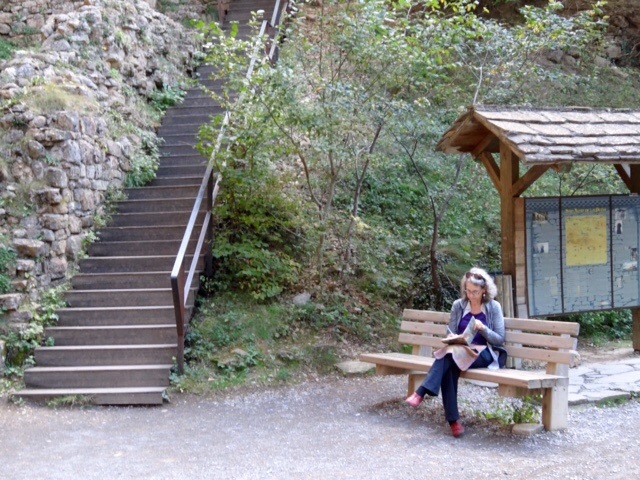 There was an amazing panoramic view of the valley below us… and this was our view while we had a picnic lunch! 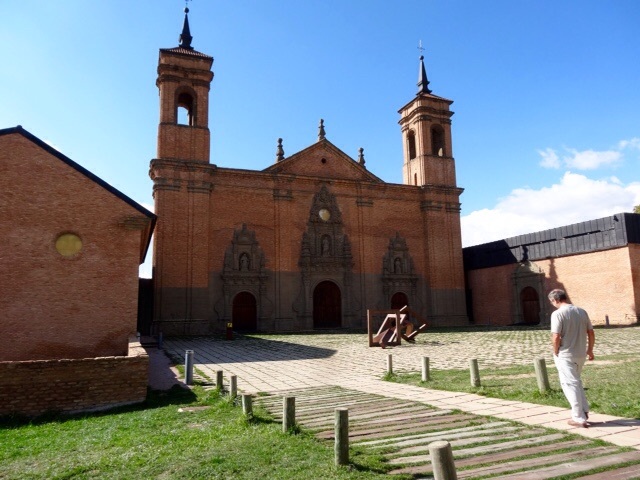 After lunch we headed to the San Juan de la Pena Monastery. 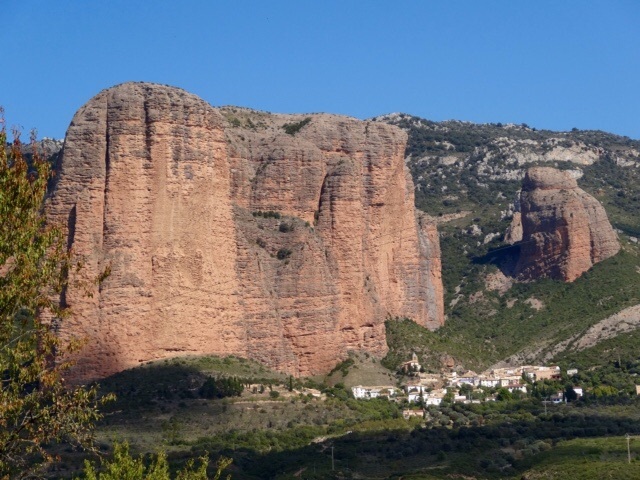 On the way we pass Aguero, a little village nestled at the base of dramatic eroded stone cliffs. We would have loved to stop and explore, but there just isn’t time. I thought three months would be so much time but there is so much to see everywhere that we have to pick and choose. 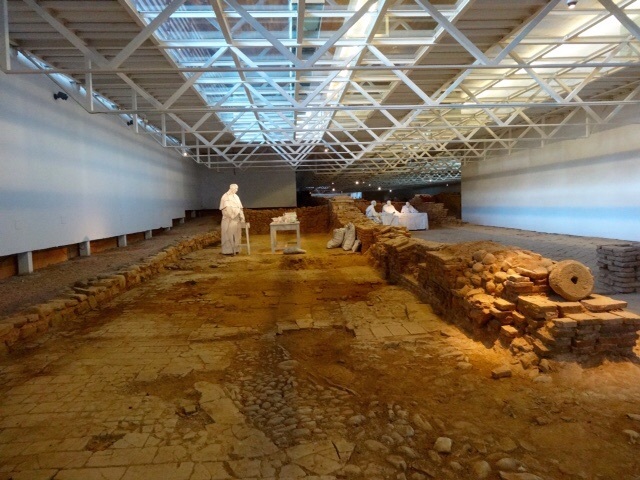 The new monastery has an interpretive center built over the old ruins. It is the modern building to the right in the photo below. 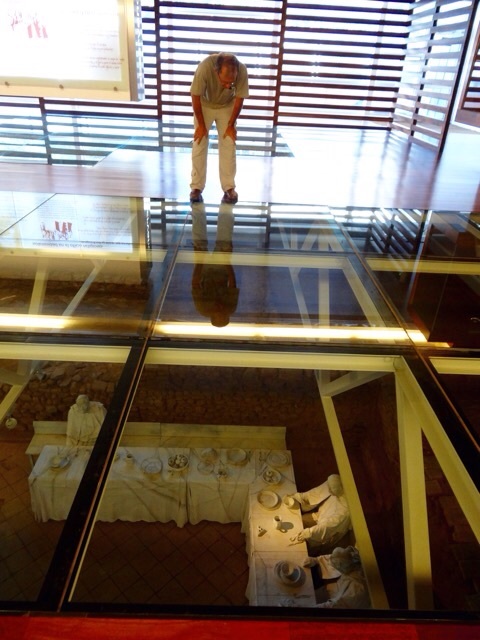 It is a huge long building with a glass floor to view the excavated ruins below. I find it rather unnerving walking on a clear glass floor! 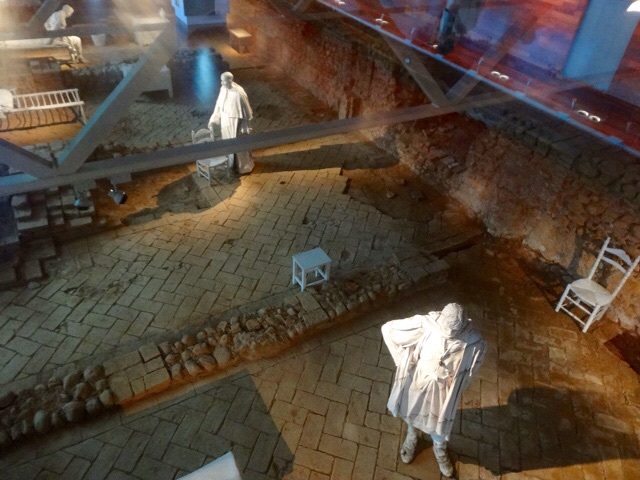 Then we go below and walk through part of the excavations. There is also another enormous building with more ruins and figures to walk through. 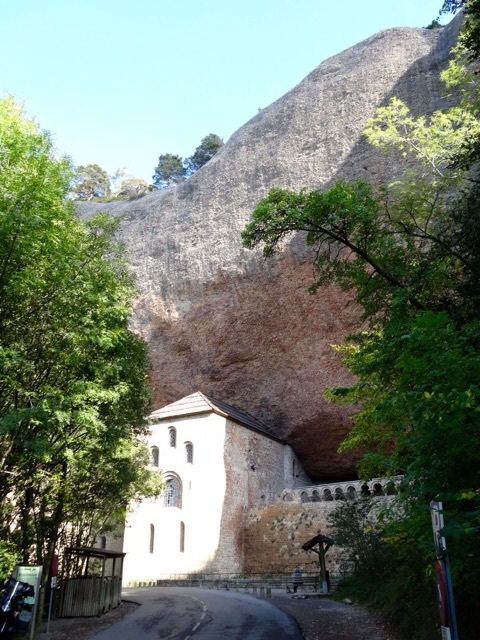 We catch a bus to the old Monastery which is sheltered under a bulging rock. 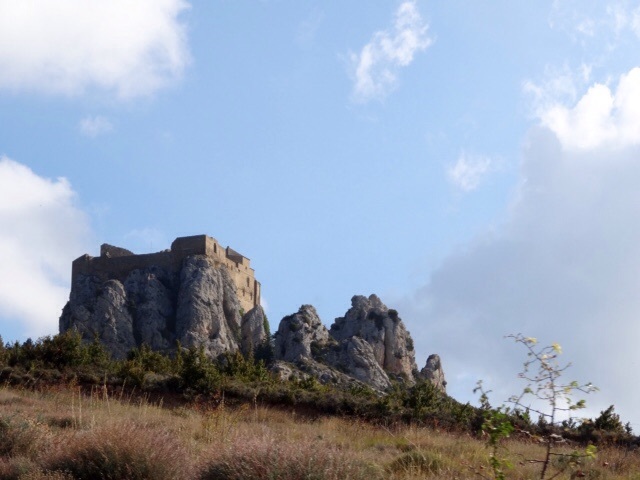 It was founded in 920 and the Holy Grail is said to have been kept here to protect it from the Muslim invaders. 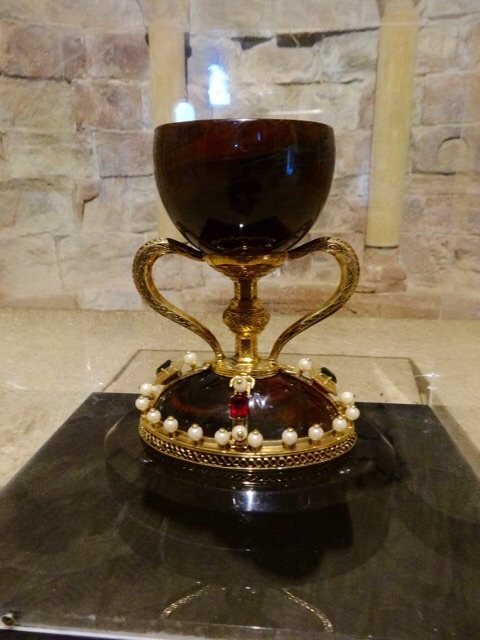 There is a replica in the chapel. 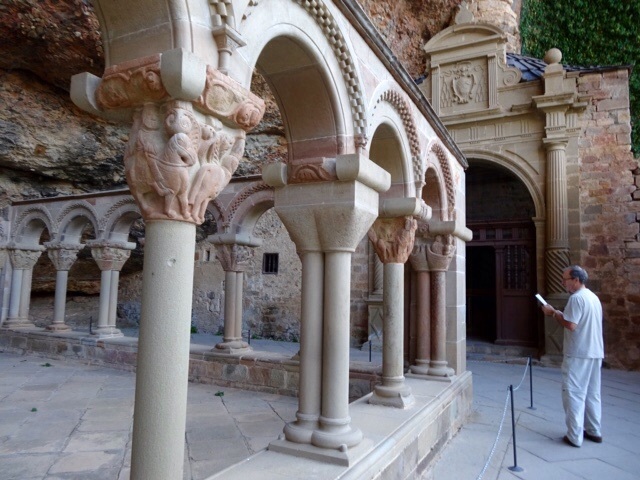 The cloister has beautifully carved capitals with scenes from the Bible. We have a bit of time before the bus comes back to pick us up (there is no where to park near the Monastery) so I start a sketch. 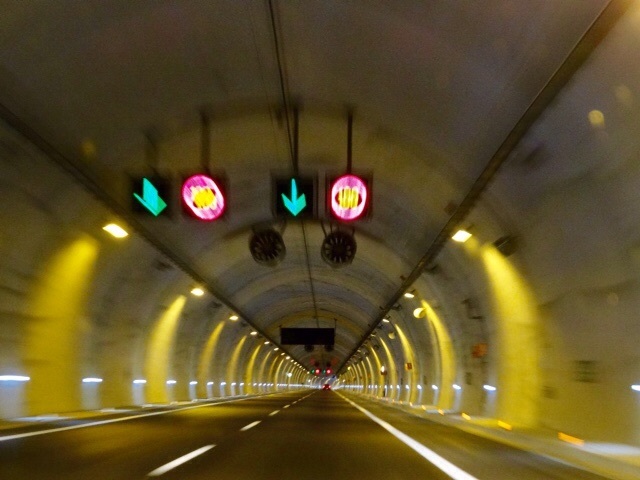 On the way home we drive through several long tunnels that cut right through the mountains. This one was over a kilometer long! 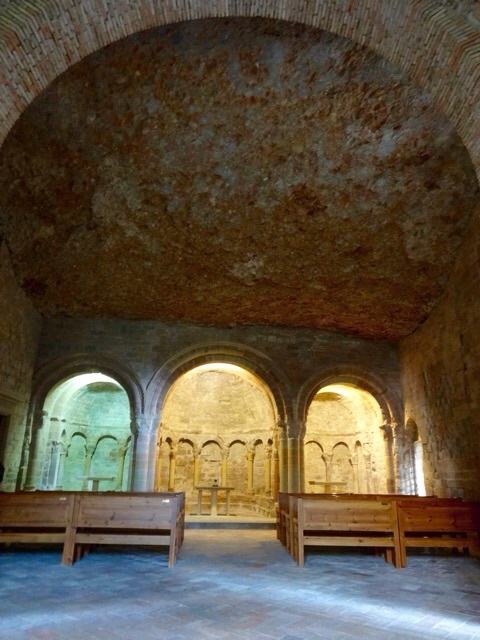 This entry was posted in Cathedrals, Drawing, Historic Buildings, Monuments, Museums, Spain, Spanish Monasteries and tagged Blogging, Churches, drawing, sketches, Spain, Vacation by Trudy. Bookmark the permalink. Are you planning to walk along the Chemain st. Jacques? Liked the photo of Bob peering through the glass and you in your red shoes like the former Pope! I wish I could have walked through the castle and monastery with you!! 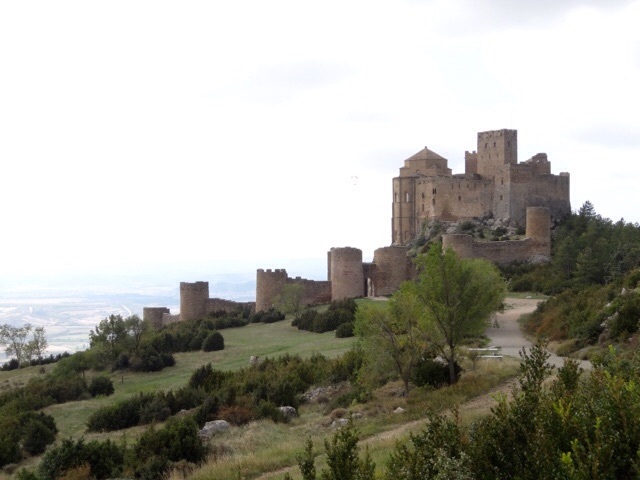 Do you remember what castles we walked through when we travelled through Europe all those years ago? One that comes to mind is Chillon castle. Lord Byron made it quite famous by writing “The Prisoner of Chillon” and he carved his name on one of the pillars of the dungeon which we saw. I’ll try to think of others. It was a long time ago!